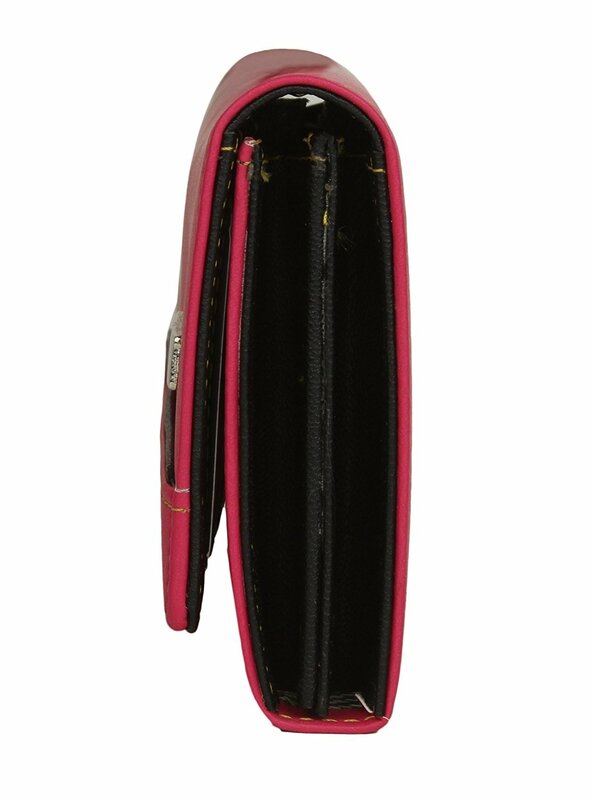 Ideal for Girls & Women.Its height(vertical distance) is 3 inches and length(horizontal distance) is 7 inches.Depth(side distance when wallet is closed) is 0.75 inches. 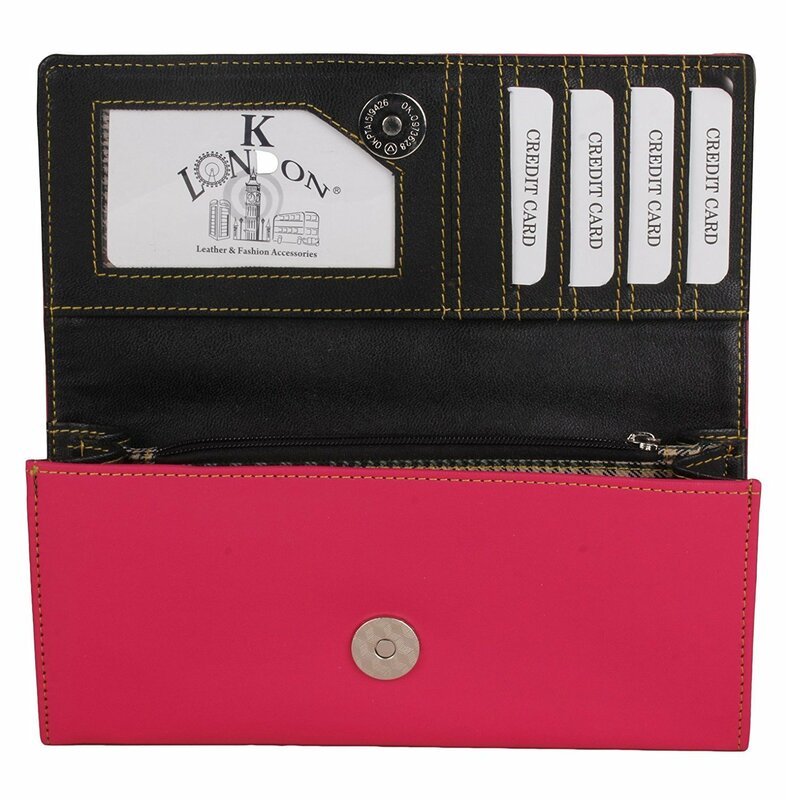 A Bi-Fold Pink & Black coloured wallet made in Artificial Leather. 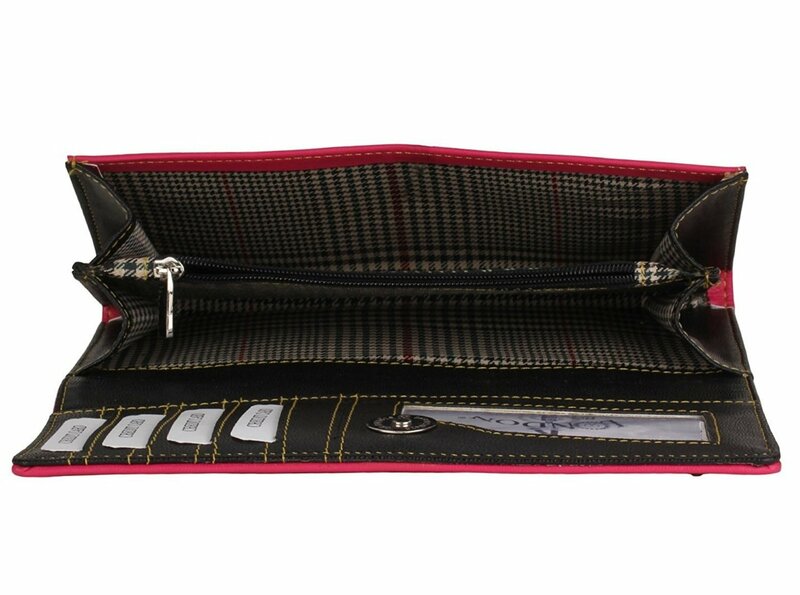 It comes with 4 card slots, 2 note compartments, 1 secret pocket behind card slot area and 1 zipper pocket for utility.This wallet is easy to maintain.The inner compartments have premium cloth lining. Avoid contact with moisture and water. Please refer to dimensions in image for an informed purchase.